How can I get more photography clients? Wouldn’t every photographer like to know! Some already have it figured out for their business, but most struggle with this every year. I’ll give an all-too-common example of Debbie, who started out her photography business with cheap prices. The clients were rolling in, however her low prices weren’t lining up with the demand for her business. She was working too much, so she gradually raised her prices. After some time at her higher prices, Debbie realized her booming client base had completely disappeared! She doesn’t want to lower her prices again, but Debbie needs to figure out a way to get more photography clients. Basically, Debbie needs to start working to find, attract, and book her target clients. Where does she go from here? 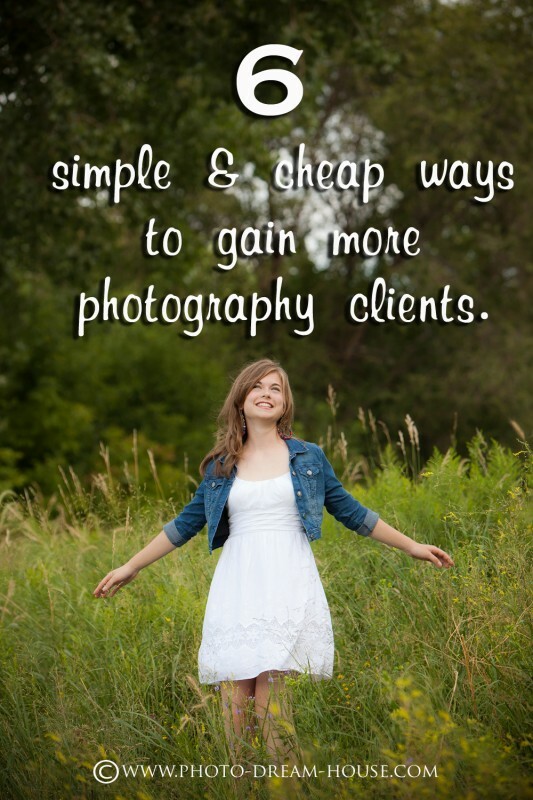 Thankfully for Debbie, I have listed below 6 simple and cheap things any photographer can do right now to get more photography clients. #1 – Run a special or promotion. #2 – Work your social media sites. Whether its Facebook, blogging, Instagram, Pinterest, LinkedIn, Twitter, etc., wherever your clients are, that’s where you should be. For instance, most of my clients are not on Instagram or Twitter, so I do not focus my time and energy on promoting my business there. However Facebook and my blog is a significant way to reach my target and current clients. #3 – Start a referral program. The goal of a referral program is to encourage and motivate your current clients to market your business for you. Referral programs are fantastic if implemented correctly. Like a special or promotion, you need to a) make sure you are not losing money and b) give your target clients an attractive discount. The elements of your referral program will depend on how much you want to increase your client base. If you are just starting out and want to greatly increase your small client base, a more aggressive referral program is needed. For instance, giving those that refer new clients a discount off a future session, as well as your new clients they refer. If you are looking to maintain your client base, a smaller program is appropriate. Maybe a free product or a smaller discount off the session would be the right approach. Again, always make sure you are doing the numbers ahead of time to ensure you are not losing money when clients use your referral program. #4 – Donate a session. This technique is another solid way to build clients. It may not help you build your client base in terms of numbers, however you know it will get clients to your door. The key here is not to give too many away, maybe 3 tops per year. Churches and small private schools are good places to start, since they typically have some type of fundraiser where you can donate a session. Make sure you get the contact information for who ends up winning the free session, so you can coordinate the session with them. Another option is to host a give-a-way on your site. Maybe you want people to share your page on Facebook or with a friend? Or, maybe have people nominate a friend in need for a free session? Donating a session essentially gets the word out about your business and gains photography clients by donating your time vs. spending money. If you shoot primarily weddings, an option for your business may be to offer a significant discount to the first 1-2 people who book their wedding through you vs. giving away an entire wedding. Some may be in a position to donate a wedding, but most do not have the time to devote to shooting a wedding free of charge. #5 – Improve your Search Engine Optimization (SEO). Now more than ever, this step is vital to growing your client base. The problem is, most people don’t have any clue where to start or are completely misinformed about what will draw more people to their website! Improving your SEO takes time, knowledge, and patience. 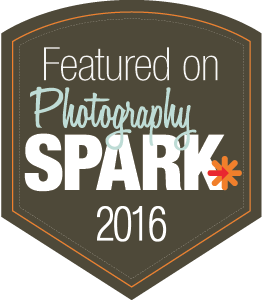 Since SEO guru Zach Prez does a much better job of breaking down how to optimize your website for search engines, I’ll direct you to an informational and thorough SEO post on his site, Photography Spark. Click here to read Photographers and SEO Basics! If you are looking for even more information and how to take your SEO one step further, Zach just came out with a great product called the SEO Cookbook Easy Recipes to Rank Higher, and it’s getting fantastic reviews. You get worksheets, access to video tutorials, a lengthy ebook, and an exclusive community SEO membership. #6 – Clean up your website. Is everything in working order (links, slideshows, etc.)? Is it easy to navigate and find pertinent information? Does the theme coordinate with your business’ brand and image? Can clients easily contact you? Another very useful tool to help improve your website comes from Jenika McDavitt from Psychology for Photographers. 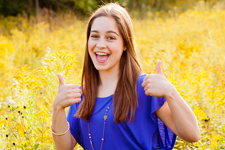 She has an awesome ebook called How to Build an Absolutely Irresistible Photography Website. It shows photographers simple changes they can make to the content on their website in order to draw in their target client. There is no other product like this on the market that addresses how to cater your website to your dream client. Click the link to find out more information! On a side note, I will never, ever recommend products on this site that I do not back 100%. SEO Cookbook Easy Recipes to Rank Higher and How to Build an Absolutely Irresistible Photography Website are reputable, highly-rated, trustworthy, and very informational products that will help your business. They will increase your website traffic and help you get more photography clients, which is what all of us want, right?! The best part is, you can try both of these products completely risk-free for 30 days! Free tools to help with SEO! Since my husband is my web admin and a computer geek, he set up Google Analytics for my websites. Therefore, I can’t walk you through how to install it. And, it is different for every site depending on your blogging platform (WordPress, Blogger, Tumblr, etc.). Fortunately, with the vast knowledge of the internet, I did find two step-by-step guides that will walk you through installing and setting it up for your specific platform (both links from www.lizlockard.com). It is a simple install that will give you even more information on tracking SEO and tools to maintain your website/blog. Install Jetpack for WordPress! Again, this tool is only for WordPress. Yoast gives you an SEO rating on each of your blog posts (red, orange, yellow, or green) based on how well you integrated keywords into your post! It also makes it easy to change your SEO Title and Meta Description, as well as gives you a complete page analysis of your blog post. I love using this tool, especially for The Photographer’s Dream House! Install Yoast for WordPress! Are these all part of my marketing plan? Yes!! The techniques above deal with branding, promotion, and and image, all aspects of marketing. These techniques are especially helpful for those just starting out their businesses, looking to do photos for people other than friends and family. It’s always a struggle to find ways to get more photography clients without lower prices. As you can see from the list above, you have many options to choose from before resorting to attracting clients with low prices! These 6 ideas are all great for bringing in new business – of those, my focus is always on SEO, the website, and social media. However, one of the biggest ways a lot of photographers are missing out on getting new clients is by under-using the power of their blog. There are a lot more, of course, but even those 4 should be enough motivation to get people moving on starting or improving their blog. Thanks for posting this great information and resource, and I’ll be sharing this with my folks too. Yes! Thank you, Nigel, for your valuable input. 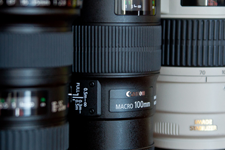 You are absolutely 100% correct about the importance of SEO to a photographer’s business. Excellent points!